After having completed the deeplearning.ai Deep Learning specialization taught by Andrew Ng, I have decided to work through some of the assignments of the specialization and try to figure out the code myself without only filling in certain parts of it. Doing so, I want to deepen my understanding of neural networks and help others gain intuition by documenting my progress in articles. The complete notebook is available here. This function will take the number of rows (X.shape) to define the size of the input layer and do the same for the output layer. The size of the hidden layer can be set manually using the hidden_size parameter of this function. The next step consists of initializing our parameters. To do so, I am going to use NumPy’s random.randn() function that randomly generates normally distributed numbers with mean zero and standard deviation one. It is important to randomly initialize the parameters to avoid that all hidden units compute the same function. Multiplying the randomly generated numbers by 0.001 makes sure that the gradient descent will not be slowed down since I am going to use the tanh activation function for the hidden layer. Before defining functions for forward and backpropagation, I’m going to define the activation functions for both layers. 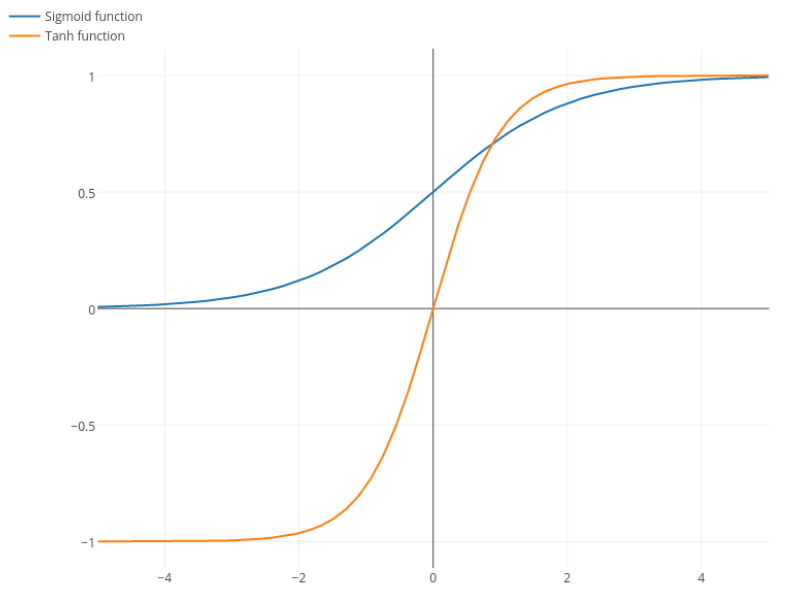 Assuming a binary classification problem, I’m going to use a tanh activation function for the hidden layer and a sigmoid function for the output layer that would be able to classify the output into binary labels given a cutoff probability. After forward propagation, I’m going to compute the loss. All this does is calculate how far off the predictions are from the actual response variable. CCE stands for cross-categorical entropy where N is the number of samples and j either zero or one depending on the class of the response variable. In the function above, np.squeeze() makes sure that the output is a float and not a NumPy array. Next, I’m going to use the outputs computed during forward propagation to calculate the derivatives of the parameters. 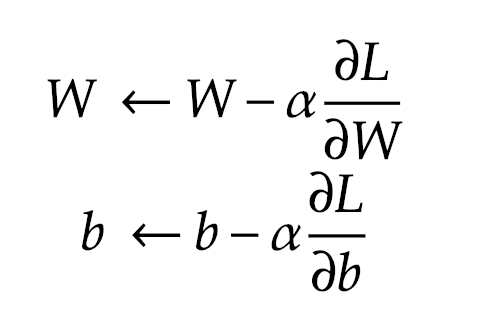 Following backpropagation, these derivatives are then going to be used to update the parameters in order to reduce the loss in the next iteration. Now, after having separately defined all required functions, I can finally create a single function combining all of them that will represent the neural network. All that’s needed in this step is to sequentially add all previously defined functions to this final function as well as add a for-loop that will run over a pre-specified number of iterations. Despite the fact that this particular network is not very powerful it can still give you an edge in classification tasks by picking up on patterns that a regular logistic regression would not. 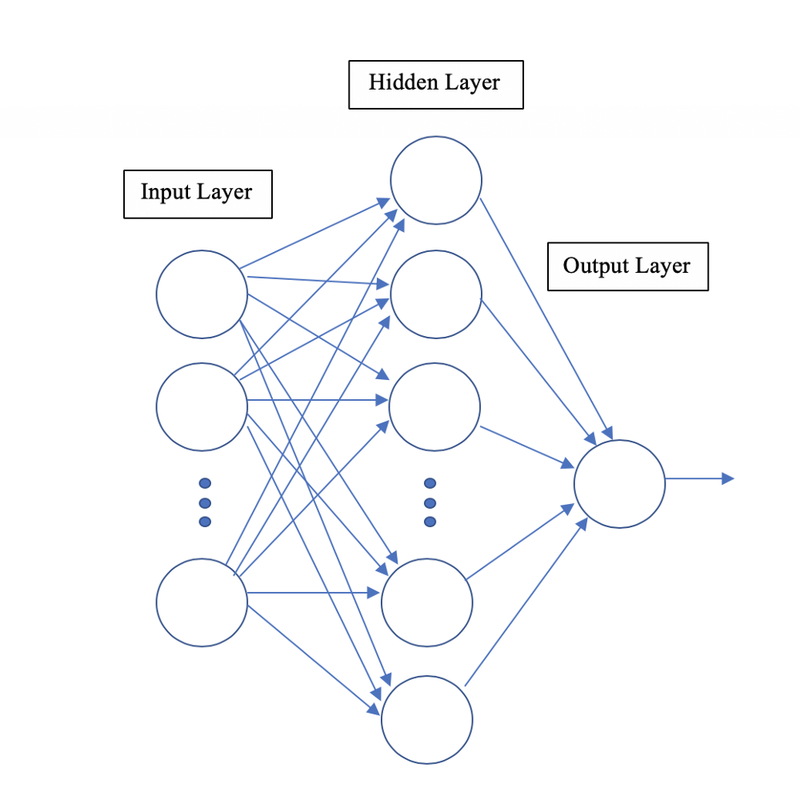 Moreover, it provides a great opportunity to grasp the basic functionalities of neural networks without letting TensorFlow or Keras do all the work behind the scenes.